Archaeologists from the Archaeological Survey of India and IIT-Gandhinagar have plans to study many aspects of the discovery, including water flow patterns, ancient water conservation efforts, and the evidence of manufacturing at the time, as revealed by the beads and semi-precious stones discovered at the site. According to inSerbia News the newly found stepwell is 73.4m (240 ft) long, 29.3m (96 ft) wide and 10m (32.8 ft) deep, much larger than the famous Great Bath, uncovered in 1926, which is 12m (39.3 ft) long, 7m (22.9 ft) wide and 2.4m (7.8 ft) deep. 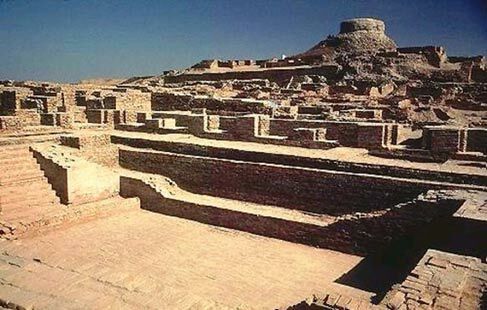 The Great Bath is one of the features of the ancient ruins of Mohenjo Daro , a Bronze Age metropolis. Excavations of the city revealed 40,000 artifacts and many skeletal remains. Stepwells are ponds or wells with stairs descending into them. They were used for water conservation and access, but also served as sites for religious ceremonies and rituals. Some were used as monuments, and are highly decorated with elaborate carved images. 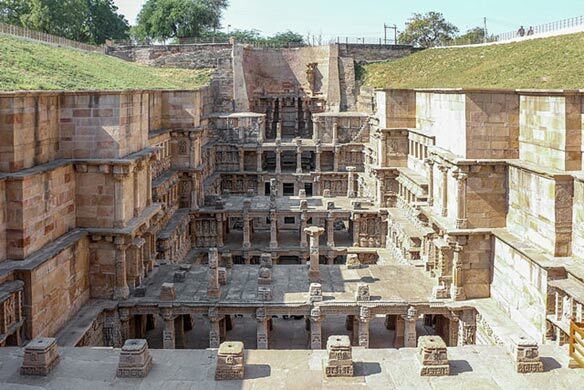 The new find in Dholavira is described as being similar to the elaborate Queen’s Stepwell - Rani-ki-Vav – a 2014 addition to UNESCO’s World Heritage List. Some remain skeptical at the Dholavira claims. Scroll.In writes that the site is a well, but should not qualify as a stepwell, and instead be called a reservoir. The news site acknowledges that the well is larger than the Great Bath of Mohenjo Daro. 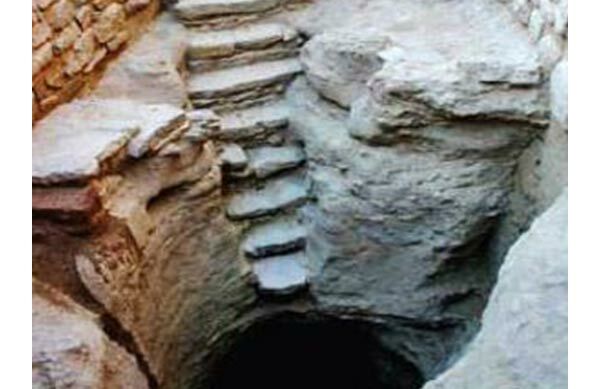 Why is this large stepwell only now discovered? Or is it only now that it came to the attention of archeologists. Is there water in it still? The researchers quoted by Scroll.in suggest that archaeologists were aware of the surrounding reservoir site 15 years ago. The researchers quoted by The Times of India seem to have newly identified the stepwell, within that previously known reservoir. That team will be continuing to do research on site. The photo provided doesn't show the bottom of the well, and it's not clear if there is water in it or not. There's no mention of water from any sources. But if it's a deep well, it could be likely that it's still a surviving water source. My only reason is that, if it used to be a water source, what's stopping it from not still being a water source? Maybe the water level has dropped a lot since it was in use but it may still at least be damp.. Possibly, anyway! Must have been such a relaxing place. Such beautiful design. Must have been quite the sight to see back in those times.